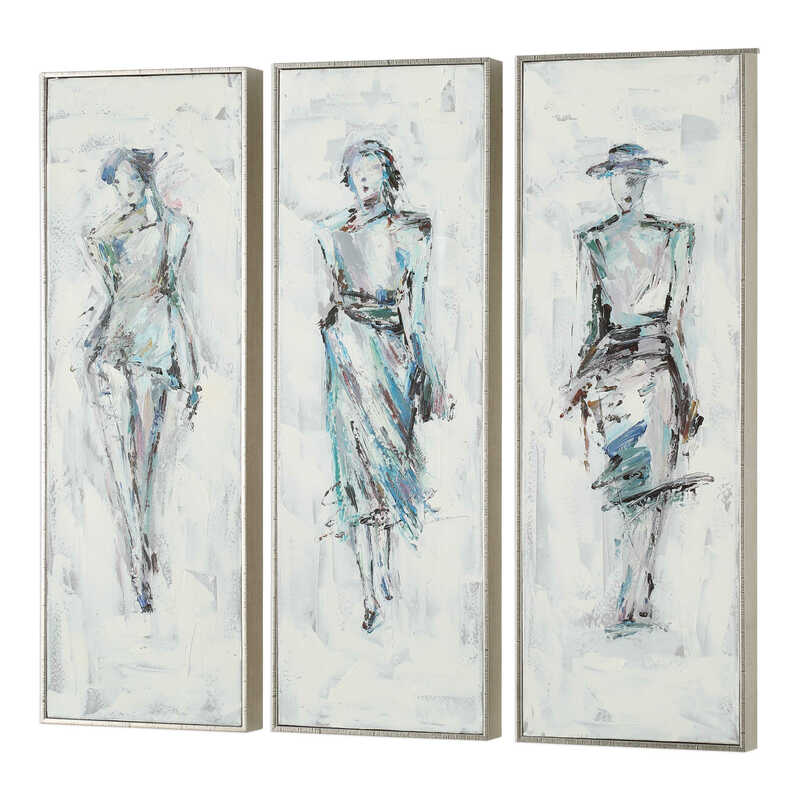 Add feminine style to a space with these contemporary, hand painted canvases. 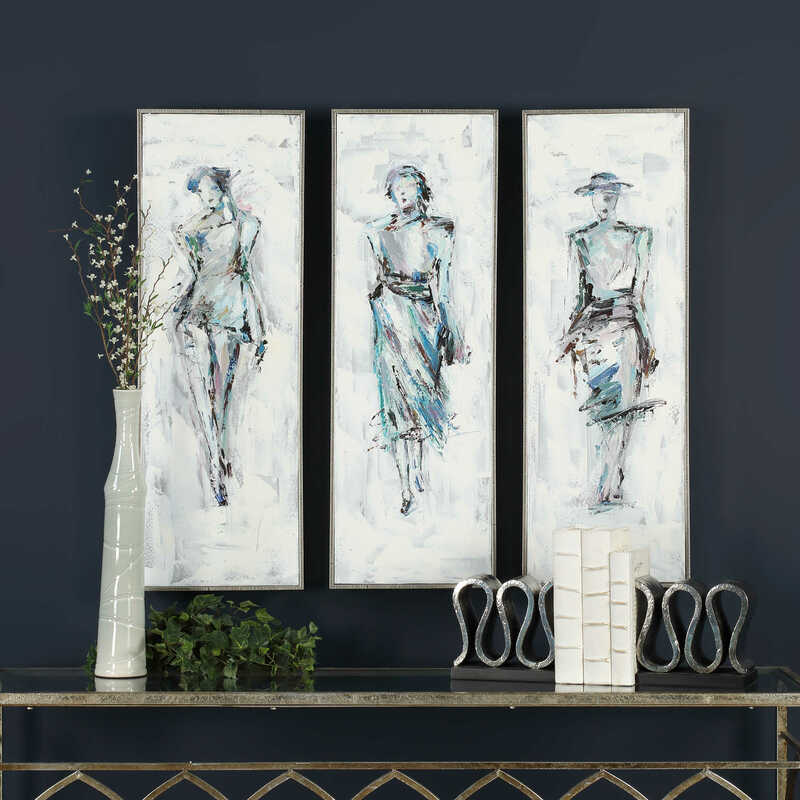 Showcasing abstract elements, each canvas has a neutral color palette with pops of blue and gray on each of the model sketches. 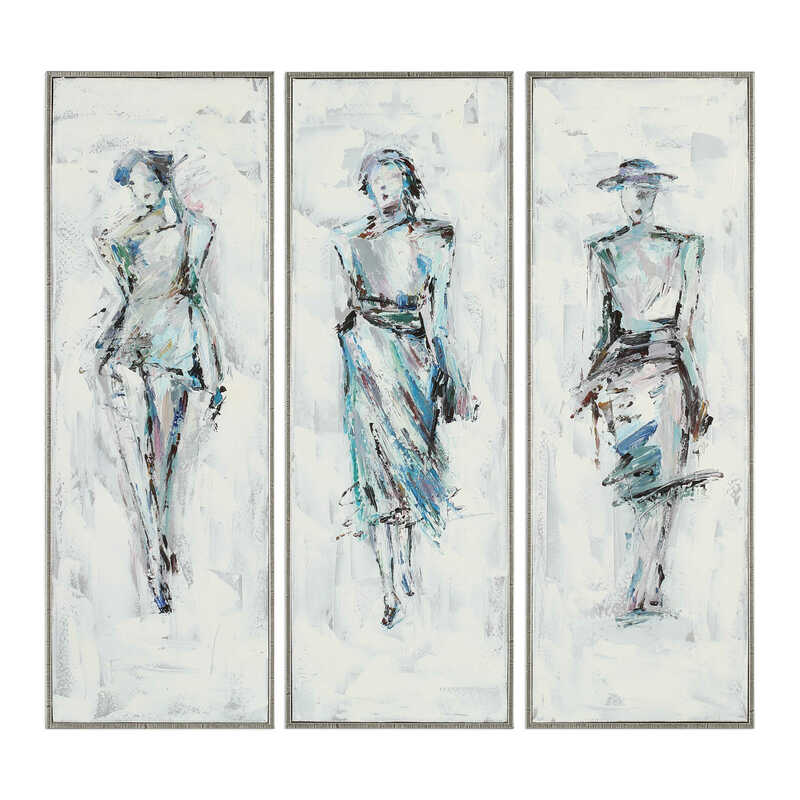 Each canvas is stretched and attached to wooden stretchers and finished with a petite, silver gallery frame. Due to the handcrafted nature of this artwork, each piece may have subtle differences.